2012 "The Bridge on the River Elbe: World Heritage in a Modern City." by Carla A. Santos and Kari A. Zobler, Annals of Tourism Research 39(1):484-486. 2016 “A Tale of Two Cities: Continuity and Change following the Moche Collapse in the Jequetepeque Valley, Peru” by Kari A. Zobler and Richard C. Sutter. In Beyond Collapse: Archaeological Perspectives on Resilience, Revitalization, and Transformation in Complex Societies, edited by R. Faulseit. Center for Archaeological Investigations, Occasional Paper No. 42, pp. 486-503. Carbondale: Southern Illinois University. 2011 “Syrian National Museums: Regional Politics and the Imagined Community.” In Contested Cultural Heritage: Religion, Nationalism, Erasure, and Exclusion in a Global World, edited by Helaine Silverman, pp. 171-192. New York: Springer. 2013 “Proyecto de investigación arqueólogica con excavaciones en Talambo Oeste, Valle de Jequetepeque, Informe de Investigaciones, Temporada 2012-2013.” Co-authored with Peruvian colleague Luis Verastegui and submitted to the Ministerio de Cultura, Peru. 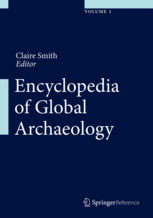 2014 “‘Dead Cities’ & Living Communities: Syrian Archaeological Heritage Management.” Encyclopedia for Global Archaeology, edited by Claire Smith, pp. 7194-7199. New York: Springer. 2007 Review of Searight, Sarah “Women Travellers in the Near East,” Religious Studies Review 33(2):138. 2007 Review of Bowersock, G.W. “Mosaics as History: The Near East from Late Antiquity to Islam,” Religious Studies Review 33(2):135. 2007 Review of Yon, Marguerite “The City of Ugarit at Tell Ras Shamra,” Religious Studies Review 33(2):135-136. 2007 Review of Burns, Ross “Damascus: A History,” Religious Studies Review 33(1):60-61. 2007 Review of Kristiansen, Kristian and Thomas B. Larsson “The Rise of Bronze Age Society: Travels, Transmissions and Transformations,” Religious Studies Review 33(1):62-63.